The best brands observe trends and act accordingly. This is why apps like Buzzsumo have become very popular in recent years. If you know where the market is moving towards, you have a major advantage. When it comes to trends, the keyword is consumer attention. It’s not just about creating good content. It’s about creating content at the right places optimized for the right devices. So where is consumer attention now? The television is turning into a dodo each year. The smartphone is undoubtedly killing it. There will be a whopping 3 billion smartphone users by the end of 2020. This is why digital advertising is going to overtake TV advertising this year. The most popular way to make some noise on the internet now is undoubtedly video. More than 80% of web traffic will be video traffic by 2019. This is because ideas conveyed through videos are easily digestible and memorable compared to any other format. So what’s the rising trend? Video content optimized for mobile! For engaging your audience, you need to connect to them in a way they prefer. Every professional website today is mobile optimized. So why not optimize videos as well? Vertical video syndrome hit the web when the smartphone suddenly empowered billions of people with an inbuilt camcorder. But unlike other devices, the smartphone was designed to be held vertically. People held it vertically when they were messaging and calling. So they naturally did the same while shooting videos. Notice the ugly black bars? It’s a bit annoying. But for some people, it was more than annoying. 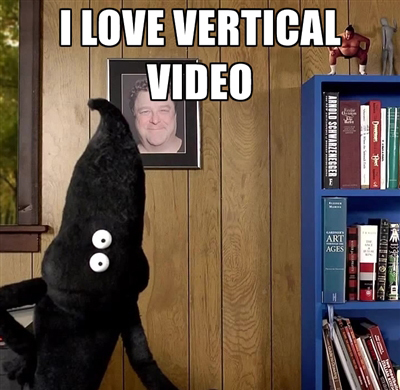 The internet turned into a hostile place for vertical videos. But is there anything inherently wrong with vertical videos? Not really. Vertical Videos are just like any other format. People hated them because it didn’t fit in! Vertical videos were viewed on a horizontal Youtube player inside a horizontal computer screen. You’ve heard of the saying “like a fish out of water”? Well, this was like a fish in outer space! Snapchat probably led the vertical video wave. Its amazing success boils down to a deep understanding of consumer behavior and empowerment. Before Snapchat, Youtube was the go-to-channel to share your videos. Though most Youtubers are not professionals, they do use fancy editing, good equipment and hip settings to get things done. Snapchat was a radical shift because it empowered normal people to become video creators. All you needed was the front cam of your mobile device. 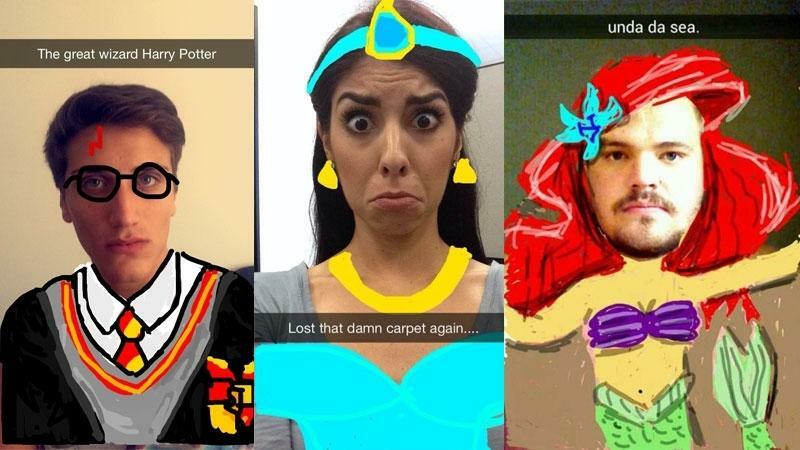 The fun tools inside Snapchat would do the rest of the magic! So why did Snapchat go for vertical videos instead of horizontal? Because it’s the easiest way to record! And the output looks perfect in a vertical device. 10 billion vertical videos are seen each day in Snapchat. Boy, did they get it right? The biggest social networking site in the world incorporated vertical video into users’ news feed August last year. Facebook believes that this change would benefit advertisers and publishers as it gives users a more immersive experience. During testing, they were able to find that Facebook users spend more time watching vertical videos than videos in any other format. 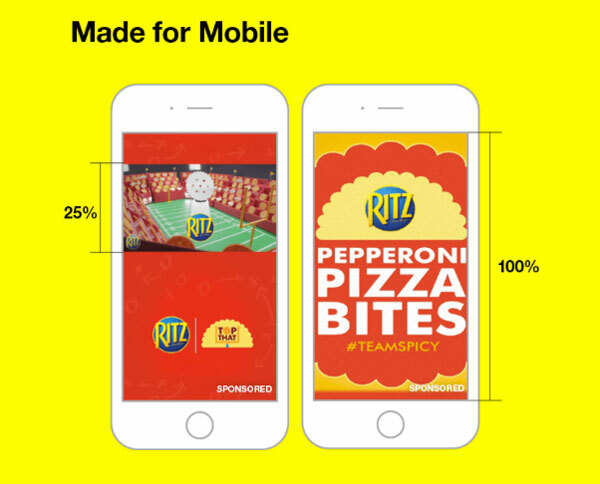 This shows that customer habits are increasingly moving towards mobile friendly formats. So if your ads are not vertically oriented, you risk the possibility of being ignored by a majority of the users. It’s not just Facebook that realized the alarming shift towards vertical videos. Vertical videos in Youtube fills up the whole screen when played in mobile. That’s right, no more black bars! Even Instagram has recently launched IGTV, thus, formally declaring the advent of the Vertical Video Era. Do you think the biggest social media platforms would favor vertical videos without good reason? These are platforms that are constantly analyzing how billions of users are consuming information! 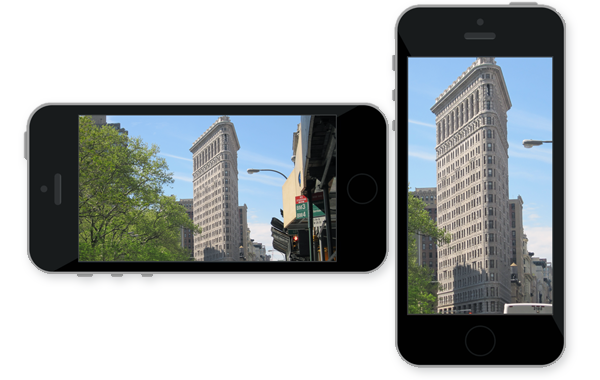 Are vertical videos inferior to horizontal videos? It is stupid to argue that one format is better than the other without understanding the context. Vertical videos have its advantages. Anything that has to be recorded from top to bottom - like a product demo or an architectural marvel look much better in vertical video. Vertical videos also do a fantastic job when you want to focus more of a speaker and less of the background. Our face, our bodies - it’s all vertical! But of course, if you are trying to shoot movie with emphasize on the amazingly good background, vertical video won’t do any justice. But then, every video that gets uploaded need not look like Hollywood movies! 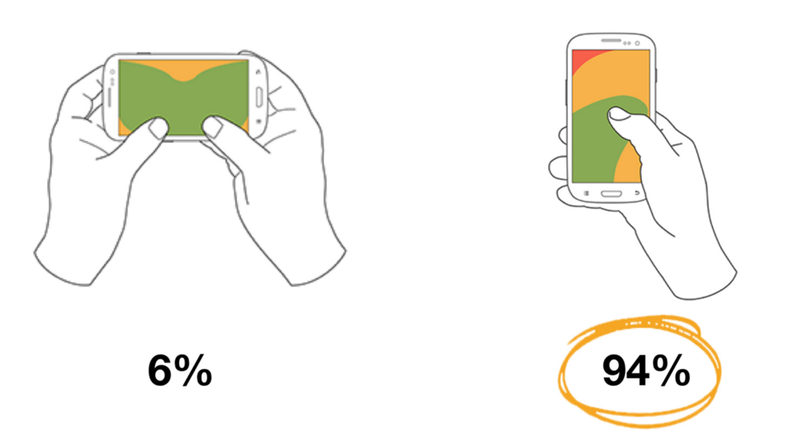 Smartphone users hold their phones vertical 94% of the time. 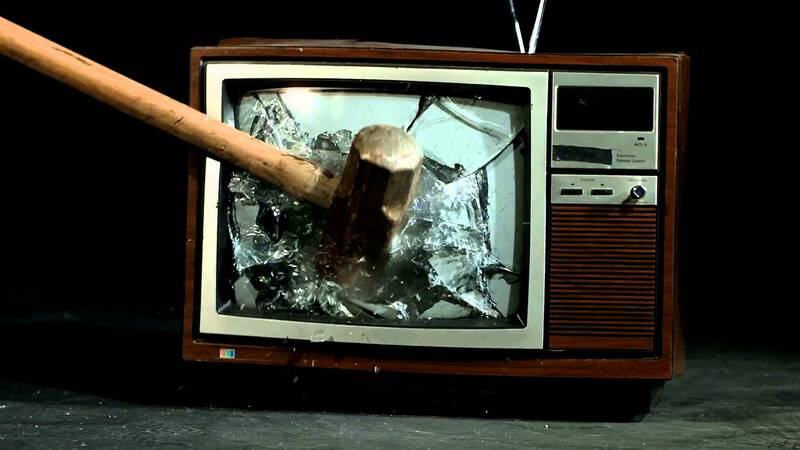 Do you want your well-crafted video to interrupt the user? Or would you want it to just blend in with their natural instinct? The chances of engagement are obviously higher when you make content that doesn’t require users to flip their phones. Snapchat says that vertical videos have 9x times more completion rates compared to videos shot horizontally! People are sluggish, provide what they need! According to the New York Times, many professional video producers are turning towards vertical videos. This is after many experiments proved that most users would rather watch scaled down horizontal videos(with black bars on either side) while holding their device vertical instead of simply flipping to see it in full screen. That’s right, people are getting very lazy. This sort of intel is extremely important. Especially because you’ll be spending tons of money and effort to make the perfect video to engage with your audience. Extra Real estate in smartphones! Among the two examples below, which looks more enticing? Animaker: the only vertical animated video maker! 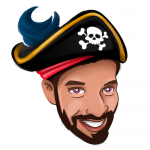 When you want to make a video where your imagination makes all the rules. If you want to explain boring abstract ideas in a simple interesting manner. If you are targeting the younger generation. But the flip side was the cost. A one minute video used to cost $10,000 until we came in. Owing to a lot of requests from leading brands, we have finally added the option to make vertical animated videos! 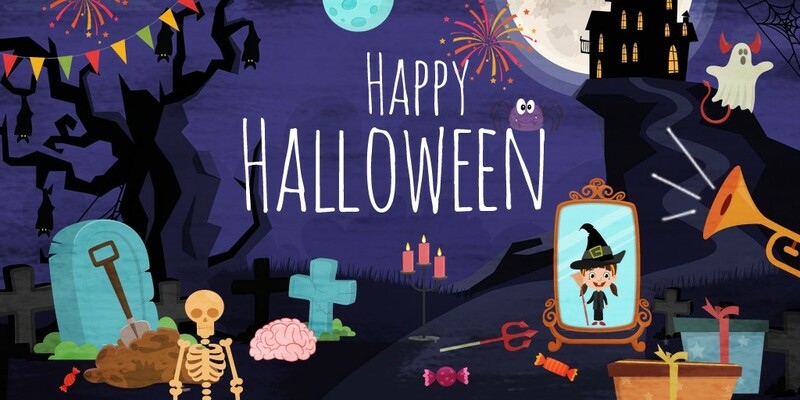 Use Animaker, the world's first and only Animated Vertical Video Maker!